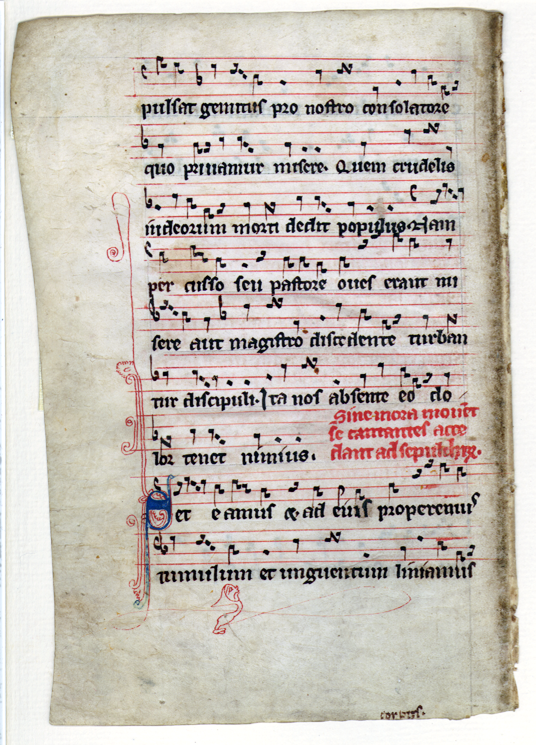 Gradual (Graduale). England; Early 13th Century. 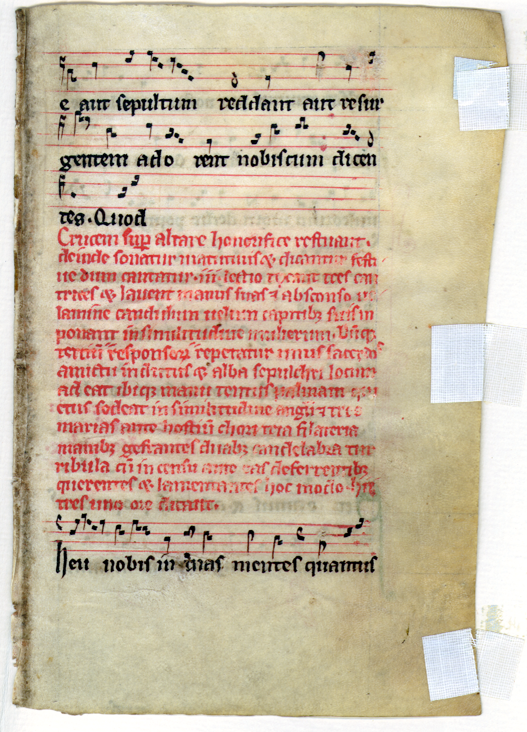 Latin Text; Early Angular Gothic Script, Square Gregorian Notation. Text: Unidentified, but clearly part of the "Quem quaeritis" sequence (the discovery of the resurrection at Easter). In Ege's manuscript this leaf may have been near what is now Leaf 08 in the Cleveland Public Library portfolio. -e aut sepultum reddant aut resurgentem adorent nobiscum dicentes. Quod. pulsat gemitus pro nostro consolatore, quo privamur misere. Quem crudelis Iudeorum morti dedit populus. Iam percusso seu, pastore, oves errant misere: aut magistro discedente turbantur discipuli, ita nos absente eo dolor tenet nimius.